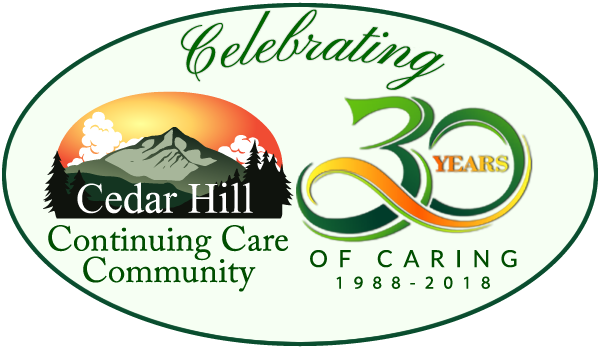 Cedar Hill is seeking a full-time Cook/Prep Cook. This person is responsible for assisting the Food Service Manager by managing the kitchen with the goal of providing high-quality food service in compliance with applicable facility policies and state/federal regulations. Responsible for handling, preparing, and serving food in an appetizing manner per menu requirements. Physical Demands: Must be in good physical and mental health, must have hand dexterity to prepare food, must be able to determine quality and palatability, desire and ability to carry out the facility’s philosophy of high-quality service to its residents through the food service department. Physical Requirements: Must be able to lift up to 35 lbs. Dress Code: Must be well groomed and dressed in food service apparel with hair and hand protection. May relieve Food Service Manager for vacations. Responsible for assigning, supervising, and evaluating work of dietary aides when Food Service Manager is not present. Prepares cold meats, sandwiches, griddle cakes, cooked cereals, desserts, pastries, breads, cakes, salads and beverages, etc.